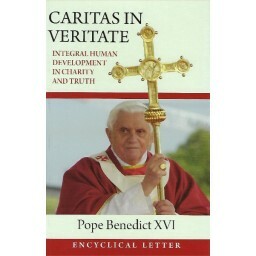 Published forty years after Pope Paul VI's encyclical, Populorum Progressio, CARITAS IN VERITATE is the fruit of the Church's reflection on the challenges facing the world today, and the moral framework in which these challenges can be addresssed. Most fundamentally, the charitable desire to work for the good of the world must always be balanced with the need to act in the light of the full truth about humanity. The encyclical addresses contemporary themes: globalisation, the economic crisis, the limits of free-market economics, the environment, poverty and development, social inequalities, the role of technology, human migration, consumerism, population control, religious freedom, religious and secularist fundamentalism, human rights - and their limits.